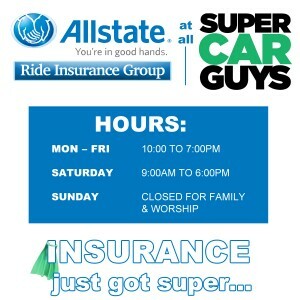 Allstate Insurance Now Available at Super Car Guys! 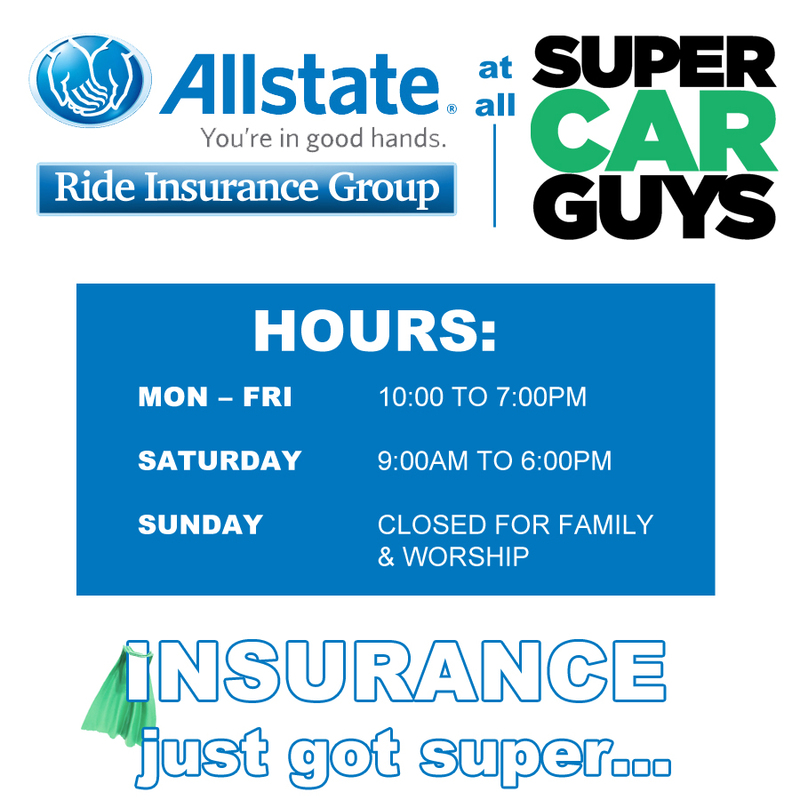 We are thrilled to announce the opening of a fully licensed, full service Allstate Insurance agency right here at every Super Car Guys location! And when we say full service, we mean FULL SERVICE. We’re excited to offer the whole range of Allstate products. Car insurance? We’ve got it. Talk about being in good hands. Stop playing phone tag with “the disappearing agent” and give us a call today at 888-890-4191 to get in touch with one of our friendly insurance professionals. 0 comment(s) so far on Allstate Insurance Now Available at Super Car Guys!